The next big IoT push is going to take a lot more effort, leadership, and viable business plans than what we've seen to date. The Internet of Things (IoT) has become one of the great buzzwords of our time, warranted by the tremendous promise it holds for everything from energy-efficient smart cities to vastly improved home health care for an aging population and any number of time-saving services and conveniences. IoT probably has as much potential for changing people's lives for the better than anything else we're dealing with in the tech space. However, getting from where we are with IoT to delivering on those big promises is going to take vison, determination, and management. First, let's clear up a few misperceptions about IoT. IoT is a Radical New Idea -- Not quite. 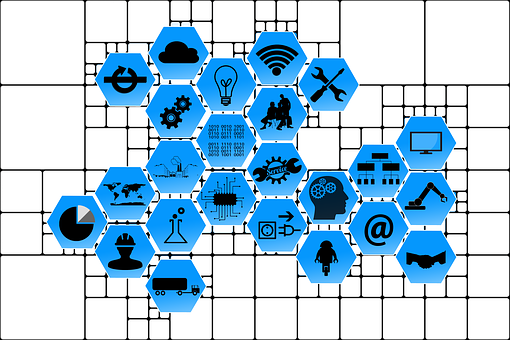 Many of the forward-looking applications for IoT take their roots from Supervisory Control and Data Acquisition (SCADA) applications that appeared in the latter half of the last century. This is when we began putting process control systems in factories. For pipelines, electrical substations, and other remote operations, we ran teletype circuits to sensors that monitored temperature and pressure and allowed remote engineers to reset breakers and exert other controls. What's changed is the sophistication of the controllers and the fact that we are now able to control these with wide-area wireless connections rather than fixed teletype circuits. IoT is Right Around the Corner -- IoT is here, even if the name hasn't caught up. The mobile operators claim to have tens of millions of IoT lines deployed in the U.S. Many of these are part of automobile-related programs like the OnStar network, BMW Assist, or Progressive's Snapshot driver monitoring system. If you were to include smartphone apps like Waze or Google Maps, the number of IoT connections might reach 100 million. For decades, farmers have been putting RFID collars on livestock to ensure they are eating and to identify health problems. Telemedicine is already going mainstream, though most of that is simply trading on existing video conferencing capabilities -- large-scale out-of-hospital patient monitoring is still in its infancy. We Will See Widespread Adoption of Next-Generation IoT Apps with Significant Societal Payoffs in the Next Five Years -- This might be a stretch. The IoT apps we have today depend on smartphones, purpose-built end devices, and wide-area wireless network services designed for applications other than IoT. Networks like OnStar, for example, were designed to support a particular range of applications, in a particular market, and with a distinct profit motive (i.e., enhance the value of x). Smartphone-based IoT apps were designed to meet a defined need with monetization plans based on advertising or other targeted audiences. What Constitutes an IoT Solution? The most prevalent IoT endpoint today is a smartphone, and the key data point it reports is location. Fleet management and in-vehicle IoT systems like OnStar and Progressive's Snapshot use specialized endpoints either embedded in or connected to the vehicle, typically via the on-board diagnostic port. We are starting to see the emergence of a whole market for IoT endpoints capable of reporting temperature, pressure, door status (open/closed), proximity, and any number of other status states. As we noted above, any number of network alternatives are proposed for IoT applications. While teletype circuits are an unlikely option for this modern era, Ethernet could be a viable alternative for stationary terminals, with Power over Ethernet providing a power source for IoT endpoints. Wireless holds the greatest promise, and most applications today are using Wi-Fi (Wi-Fi HaLow), Bluetooth (Thread) or 3G/4G cellular (NarrowBand IoT). T-Mobile and other mobile operators are already announcing plans to pilot test NarrowBand IoT. All of us who work in the networking field should recognize that no single network solution will address the full range of IoT applications. One application might require battery life to extend 10 years, while another might require high bandwidth 24/7/365 for video monitoring. Some will require short bursts of data from one to a dozen times a day, while others will call for transmission ranges of dozens of miles... or maybe just a few yards. Designers will need to understand the nuances of their IoT applications and look for the most reasonable and cost-effective means to serve them. Back-office systems will be key in delivering IoT value, but I see that as the smallest of our technical challenges. With what we have seen in development of cloud-based services, I'm quite convinced that whatever we conceive for IoT-based applications, we'll have no trouble finding someone who can develop it.